Memorial Day is a federal holiday observed annually in the United States on the last Monday of May. Formerly known as Decoration Day, it originated after the American Civil War to commemorate the fallen Union soldiers of the Civil War. Southern ladies organizations and southern schoolchildren had decorated Confederate graves in Richmond Virginia during the Civil War. Each region in the south had its own date in May. By the 20th century Memorial Day had been extended to honor all Americans who have died in all wars. Memorial Day is a day of remembering the men and women who died while serving in the United States Armed Forces. As a marker it typically marks the start of the summer vacation season, while Labor Day marks its end. are held on a Sunday in late spring or early summer in some rural mountain areas of the American South. In cases involving a family graveyard where remote ancestors as well as those who were deceased more recently are buried. This took on the character of an extended family reunion to which some people travel hundreds of miles. People gather on the designated day to put flowers on graves and renew contacts with kinfolk. There often is a religious service with a "dinner on the ground," the traditional term for a pot-luck meal in which people used to spread the dishes out on sheets or tablecloths on the grass. It is believed that this practice began before the American Civil War and thus may reflect the real origin of the "memorial day" idea. For many Americans, the central event is attending one of the thousands of parades held on Memorial Day in large and small cities all over the country. Most of these feature marching bands and an overall military theme. The National Guard with other servicemen participate along with veterans and military vehicles from various wars. One of the longest-standing traditions is the running of the Indianapolis 500 auto race. Which has been held in conjunction with Memorial Day since 1911. It runs on the Sunday preceding the Memorial Day holiday. The Coca-Cola 600 stock car race has been held later the same day since 1961. The Memorial Tournament golf event has been held on or close to the Memorial Day weekend since 1976. Because Memorial Day is generally associated with the start of the summer season, it is common tradition to inaugurate the outdoor cooking season on Memorial Day with a barbecue.The National Memorial Day Concert takes place on the west lawn of the United States Capitol. The concert is broadcast on PBS and NPR. Well known singers and musicians perform to honor the men and women who gave their lives for their country. See more from National Memorial Day Concert. 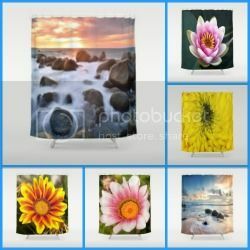 As you celebrate with friends and family on May 27th 2012 . I hope we will keep in our hearts and minds the millions of servicemen and women who make our enduring freedom possible. Organize a pot-luck. This is the best way of interaction, fun, and grilling. Make a list of people, food that is being brought, things to be grilled, and activities to be done. The most popular barbecued items are hotdogs and hamburgers; especially at a beach or park site. Early cookbooks did not tend to include recipes for barbecue sauce. The first commercially-produced barbecue sauce was made by the Georgia Barbecue Sauce Company in Atlanta, Georgia. Their sauce was advertised for sale in the Atlanta Constitution, January 31, 1909. Heinz released its barbecue sauce in 1940. A bottle of barbeque sauce is a staple in North American kitchens. This recipe will show you a quick and easy way to make your own. Learn to make barbeque sauce, and relish in it's beauty as an condiment with famous dave. Tired of asking "Burger or hot dog?" when you're manning the grill? Spice things up with some mouth-watering brisket, courtesy of Rock and Roll BBQ's Travis Randall. HAVE A HAPPY GRILLING SEASON EVERYONE !!! Cybele enthroned, with lion, cornucopia and Mural crown. Mother's Day is a celebration honoring mothers. Celebrating motherhood, maternal bonds and the influence of mothers in society. It is celebrated on various days in many parts of the world, yet most commonly in March, April, or May. 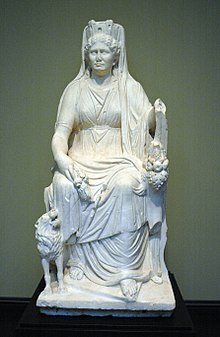 Celebrations of mothers and motherhood occur throughout the world; many of these can be traced back to ancient festivals, like the Greek cult to Cybele , the Roman festival of Hilaria or the Christian Mothering Sunday celebration. ﻿﻿﻿﻿﻿﻿﻿﻿﻿﻿ The United States celebrates Mother's Day on the second Sunday in May. Julia Ward Howe first issued her Mother's Day Proclamation in 1870 as a call for women to join in support of disarmament. In the 1880s and 1890s there were several further attempts to establish an American Mother's Day, but these did not succeed beyond the local level. The current holiday was created by Anna Jarvis in Grafton, West Virginia, in 1908 as a day to honor one's mother. 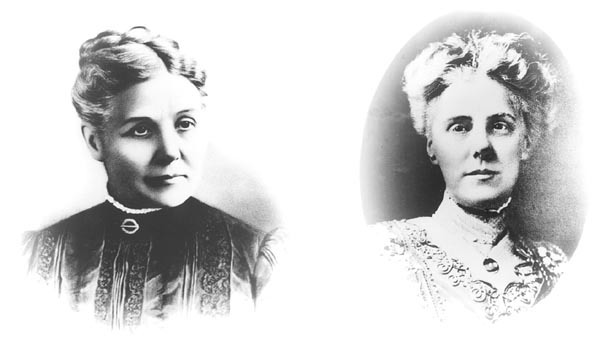 Jarvis wanted to accomplish her mother's dream of making a celebration for all mothers, although the idea did not take off until she enlisted the services of wealthy Philadelphia merchant John Wanamaker. She kept promoting the holiday until President Woodrow Wilson made it an official national holiday in 1914.The holiday eventually became so highly commercialized that many, including its founder, Anna Jarvis, considered it a "Hallmark Holiday", i.e. one with an overwhelming commercial purpose. Jarvis eventually ended up opposing the holiday she had helped to create. She died in 1948, regretting what had become of her holiday. In the United States, Mother's Day remains one of the biggest days for sales of flowers, greeting cards, and the like; it is also the biggest holiday for long-distance telephone calls. Moreover, churchgoing is also popular, yielding the highest church attendance after Christmas Eve and Easter. Many worshipers celebrate the day with carnations, colored if the mother is living and white if she is deceased. During the 1920s and 1930s, there were rallies in New York's Central Park for the cause of renaming Mother's Day to "Parents' Day." The movement, led by one Robert Spere, died out in 1940; an historian suggests that the business community killed it, because "Mother's Day followed by Father's Day was too perfect a setup financially to allow something as gender-nonspecific as Parent's Day to muck things up. The U.S. Census Bureau Estimated number of mothers in the United States in 2008. Hold the flower next to the pen and clip the flower stem so it is about 2-inches up from the tip of the pen. The flower should sit on the end of the pen. Remove and leaves. While holding the flower stem tightly against the pen, wrap the entire length of the pen with floral tape. This will secure the pen and flower together. This handy combination recipe holder and space marker can be neatly tucked out of the way when you aren't using it, although it is pretty enough that you may want to find a spot to display it! Cut a piece of wire about 16" long. Start wrapping one end of the wire around the pencil. Wrap about 6" of the end to form a tight coil. Slide the coil off the pencil. String 9 or 10 of beads onto the wire, and push them up tight to the coil you made. Wrap the straight end of the wire around the pencil as you did with the first end. Once you have a tight coil, carefully slide it off the pencil. Place a bead on each end of the wire, bends the tip to keep it in place. Bend your beaded creation into a 'U' shape, and you are done! Set your beaded wire on the counter and the recipe card can easily be placed in the coils at both ends and it we be held up for you to read. You can also use the beaded wire to save a spot in your recipe box. This kitchen set will win the hearts of cooks. Patio Paint is a self-sealing exterior paint. No prior preparation is needed when working on wood. For other surfaces, follow directions on label. Patio Paints may be used on all porous surfaces such as concrete, terra cotta, wood, plaster, etc. Because of the self-sealing agents, they do not require a varnish upon completion. 1. Use #12 flat brush to paint inside pot and outside rim Light Waterfall Blue. Paint remainder of pot and spoons Cloud White. 2. Dampen one square of compressed sponge; squeeze until almost dry with paper towel. Dip into Deep Waterfall Blue and apply two rows checkers around rim of pot. 4. Use round brush to paint hearts on Deep Waterfall Blue checks with Foxglove Pink. 5. Use handle tip of brush to dot clusters with Foxglove Pink and Deep Waterfall Blue randomly on white area. 6. Use liner brush to paint stems with green mix. 7. Paint pots on spoons with Foxglove Pink and plants with green mix. 8. Use liner brush to paint "HERBS" with Foxglove Pink and "CHIVES" with Deep Waterfall Blue. 9. Use round brush to dab on blue chive blossoms and buds on herbs. 10. Outline pots on spoons with liner. Seville Orange Marmalade Recipe. If you like marmalade then you'll adore our tangy, chunky Mediterranean version of this classic condiment.This preserve will taste better than any of the supermarket alternatives. Its distinctive citrus taste means that it also works well as a filling in cakes and even as a glaze for meats, especially ham. Using a large knife, roughly slice off the lemon peel and reserve it. Cut the lemon in half and juice both of the halves. Roughly slice off the peel of one orange, reserve it and cut the orange in half. Repeat exactly the same process with all of the Seville oranges. Don't peel them too close to the flesh as we need the pith later to thicken the marmalade. When all the oranges have been peeled and sliced, juice them, reserving the juiced halves for a future step. Then, along with the lemon juice, pour the juices into a large bowl. Place the muslin cloth onto the chopping board, and put all the juiced halves of the lemon and oranges in the centre along with all the pith and pips, but not the peel. Close the muslin into a bag, take a length of string and tie it tightly around the neck. Place the bag into the large bowl of juice and finally, add the water. Using a large knife slice the orange peel into thin strips and cut across into 2.2cm slices. Place the peel into the large bowl along with the rest of the ingredients. Place the large bowl in the fridge overnight to marinate. Transfer the muslin bag into a large pot, followed by the liquid and bring to the boil. Once boiling, simmer for two hours until the peel is soft. Shake off any excess liquid, remove the muslin bag from the pan and place it in a bowl. It's very important that you allow it to cool before proceeding to the next step. When the mixture has cooled, add the sugar and stir until dissolved. Hold the muslin bag over the pan and squeeze out all the juice. Pour in any left over juice from the bowl. Bring it to a rapid boil for 15 minutes. Take off the heat and allow it to settle for 20 minutes and cool down. Store in a sterilised jar in the fridge. It will keep for up to 2-4 weeks. Jars of marmalade with handmade labels and ribbons also make delightful gifts. And since they're made from store-bought pound cake, they're surprisingly easy to prepare. You can decorate the tops with sprinkles, colored sugar, or candy flowers. Cut the entire cake into 1-inch-thick slices. Then use 1-inch-wide cookie cutters or a knife to cut round, square, and diamond shapes from each slice. Place the cake pieces on a wire rack set on a waxed paper-lined cookie sheet. In a large saucepan over medium heat, mix together the powdered sugar, corn syrup, 1/2 cup water, and vanilla and almond extracts until the mixture is smooth and creamy, about 5 minutes. Remove the saucepan from the heat and let it cool for about 5 minutes. As the icing cools, it may start to stiffen; if so, stir in a spoonful of water to keep the icing smooth and flowing. Divide the icing equally between two or three small bowls. Stir food coloring, a drop at a time, into each bowl until the icing is the desired shade. Working with one piece of cake at a time, spoon on the icing to cover it completely, then add sprinkles, colored sugar, or a candy flower before the icing sets. Let the cakes stand, uncovered, until the icing is dry, about 30 minutes. Store them in an airtight container for up to three days. Makes about 30 cakes. 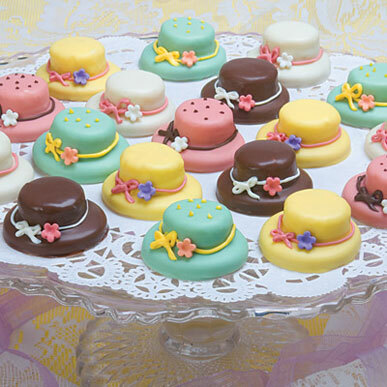 This Mother's Day give the moms in your life the royal treatment by serving up these tiny sweets. To make the crown, place a wrapped mini yellow Laffy Taffy in a cup of warm water for 2 to 3 minutes to soften it. Unwrap it, then flatten it with a rolling pin until it's 1-1/4 by 3-3/4 inches. Use a knife to straighten the strip's edges. With the tip of a teaspoon, cut five arches along one edge, as shown. Join the ends to form a crown and seal the seam with a few drops of water. Let it sit for about 10 minutes to harden slightly. Dip the bottom of the crown into white frosting, then into sparkling sugar, and press it into place on a pink-frosted mini cupcake. Apply a small dab of white frosting with a toothpick to each crown point, then press on a sugar pearl. Add red decorator gel jewels around the middle of the crown for a final flourish. It looks like a flower garden, but every single part of this Gumdrop Garden cake is edible and completely delicious. Follow these simple directions, then dig in. Ice the top and sides of the pound cake with chocolate frosting. Then trim the top of each ladyfinger into a point to resemble a fence picket. Gently press the pickets against the frosted sides of the loaf cake. Seal a handful of chocolate wafer cookies in a plastic bag and crush them with a rolling pin. Sprinkle the crumb "soil" on top of the loaf cake. Plant a row of tulips: Sprinkle sugar onto a waxed-paper-covered surface. Using a rolling pin, flatten gumdrops to a 1/4-inch thickness. With kitchen scissors, cut notches in the tops of the flattened gumdrops to create tulip shapes. Insert a toothpick stem into the base of each blossom. Make a pair of leaves for each tulip by trimming flattened green gumdrops into teardrop shapes. Spear the base of each leaf with the toothpick stem and push it halfway up the stem. 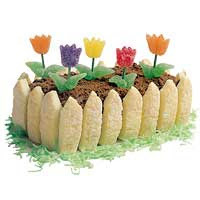 Now plant the tulips in the cake. For a fun finishing touch, sprinkle coconut tinted with green food coloring around the garden to resemble grass.